Available for the Kindle & iPad. Also in Paperback, and in a Persian edition. The Kindle edition of The Persian Sphinx is an exact reprint of the printed book and can be viewed using Kindle Fire as well as on the iPad using the Kindle app for iPad. 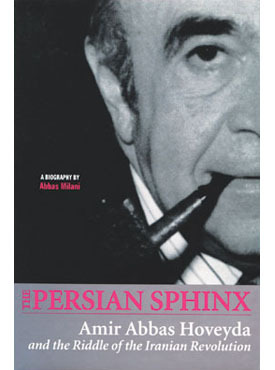 The iTunes iBook edition of The Persian Sphinx is a fixed format digital edition of the printed book, which matches the pages number but the type is digital, which means the hyperlinks are live.